Can We THINK Our Way Out of Cancer? 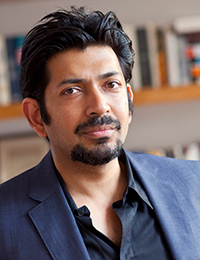 ‌ Siddhartha Mukherjee is Assistant Professor of Medicine at Columbia University and a cancer physician and researcher. His laboratory focuses on discovering new cancer drugs using innovative biological methods. He graduated from Stanford University and obtained his D. Phil. at the University of Oxford, where he was a Rhodes Scholar, before attending medical school at Harvard. 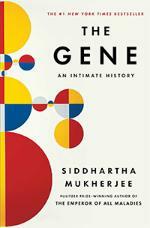 Mukherjee trained in cancer medicine at the Dana Farber Cancer Institute of Harvard Medical School. He is the author of the #1 New York Times bestseller: The Gene: An Intimate History (Scribner, 2016), The Emperor of All Maladies: A Biography of Cancer (Scribner, 2011), which won the Pulitzer Prize, and The Laws of Medicine (Simon & Schuster/TED, 2015). He has published articles in Nature, The New England Journal of Medicine, The New York Times, and Cell.